The hamlet draws its name from the Carle House - a 32-room house built by Silas Carle in Westbury in the 1800s. It was called the "Carle Place", and the surrounding area later took the name. An early name (and still-current nickname) for the region is Frog Hollow. As a result, the local high school's sports teams are called the Frogs and the school colors are green and white. In 1946, developer William J. Levitt bought 19 acres (77,000 m2) for an experiment. His crews brought pre-cut lumber to the site and rapidly assembled 600 low-cost houses on a site near the Carle Place station of the Long Island Railroad, offering affordable suburban living with an easy commute into offices in New York City. Within five years, returning veterans and their families swelled the population by 500 percent. It transformed Carle Place, and served as the prototype for the gargantuan development Levitt began the following year a few miles away: Levittown. Carle Place is located at 40°45′09″N 073°36′37″W﻿ / ﻿40.75250°N 73.61028°W﻿ / 40.75250; -73.61028 (40.7526008, -73.6104058) and its elevation is 108 feet (33 m). According to the United States Census Bureau, the CDP has a total area of 0.935 square miles (2.42 km2), all land. 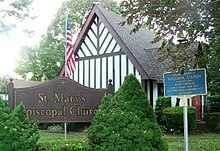 The villages bordering Carle Place are Mineola, Garden City, Old Westbury, and Westbury. 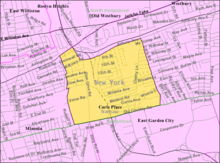 Carle Place also borders East Garden City, an unincorporated area of the Town of Hempstead. Carle Place's southern border runs along Old Country Road, while its eastern border runs along Carle Road. 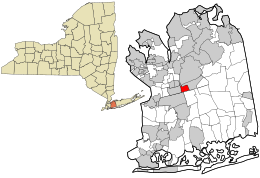 The southern border also makes up part of the border between North Hempstead and Hempstead. As of the 2010 census The make up of the population was 77.9% Non-Hispanic white, 2.1% Black or African American, 7.9% Asian, 3.8% from other races, and 1.9% from two or more races. Hispanic or Latino of any race were 11.1% of the population. As of the 2000 census, there were 5,247 people, 1,900 households, and 1,371 families residing in the CDP. The population density was 2,155.2/km² (5,572.9/mi²). The Town is known for being one square mile. There were 1,922 housing units at an average density of 789.5/km² (2,041.4/mi²). The racial makeup of the CDP was 89.88% White, 1.89% African American, 0.02% Native American, 5.45% Asian, 0.02% Pacific Islander, 1.47% from other races, and 1.28% from two or more races. Hispanic or Latino of any race were 7.78% of the population. There were 1,900 households out of which 31.7% had children under the age of 18 living with them, 59.8% were married couples living together, 9.5% had a female householder with no husband present, and 27.8% were non-families. 23.9% of all households were made up of individuals and 10.0% had someone living alone who was 65 years of age or older. The average household size was 2.76 and the average family size was 3.31. In the CDP, the population was spread out with 22.8% under the age of 18, 7.6% from 18 to 24, 29.9% from 25 to 44, 24.4% from 45 to 64, and 15.3% who were 65 years of age or older. The median age was 39 years. For every 100 females, there were 91.7 males. For every 100 females age 18 and over, there were 90.7 males. The median income for a household in the CDP was $70,938, and the median income for a family was $85,240. Males had a median income of $51,744 versus $37,344 for females. The per capita income for the CDP was $31,624. About 3.4% of families and 5.4% of the population were below the poverty line, including 5.1% of those under age 18 and 10.0% of those age 65 or over. Guitarists Steve Vai and Joe Satriani are both from Carle Place (although technically Satriani was born in Westbury). Former New York Jets athlete Matt Snell also graduated from Carle Place High School. He currently has his picture set in Carle Place High School's "Athletic Hall of Fame". Paralympic Wheelchair Basketball Player Steve Serio graduated from Carle Place High School in 2005. Serio is also technically a resident of Westbury, but, as with Satriani, the portion of Westbury is a part of the Carle Place School District. Emmy-nominated TV writer and showrunner Brendan Hay (Harvey Street Kids, Robot Chicken, The Simpsons) grew up and went to school in Carle Place. ^ a b c "Carle Place". Geographic Names Information System. United States Geological Survey. Retrieved January 12, 2013. ^ a b c "Places: New York". 2010 Census Gazetteer Files. United States Census Bureau. Archived from the original on February 17, 2013. Retrieved January 12, 2013. ^ a b "2010 Demographic Profile Data: Carle Place CDP, New York". Profile of General Population and Housing Characteristics: 2010. United States Census Bureau. Retrieved January 12, 2013. 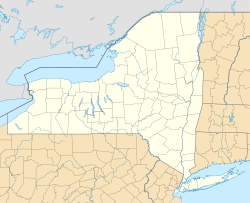 ^ "Post Offices By County: Nassau County, New York". United States Postal Service. Retrieved January 12, 2013. ^ a b "FIPS55 Data: New York". FIPS55 Data. United States Geological Survey. February 23, 2006. Archived from the original on October 19, 2006. This page was last edited on 6 March 2019, at 22:52 (UTC).